On 27 October 2016, Indonesia’s House of Representatives passed a new Trademark & Geographical Indications Law. It is expected to become effective within 30 days, thereby replacing the previous Trademark Law (No. 15/2001). The new Law contains a number of changes to the registration, protection and enforcement of trademarks and geographical indications (GIs) in Indonesia. The below summary is provided by Januar Jahja & Partners (JJP), a leading IP boutique law firm based in Jakarta. JJP has over 30 years experience handling all aspects of Indonesian trademark law and was recently named as a Top Tier IP Firm in Indonesia by The Legal 500. The changes under the new Trademark Law can be divided into four categories: (1) Prosecution—Procedural, (2) Prosecution—Substantive, (3) Litigation & Enforcement, and (4) Miscellaneous. Some provisions are subject to further regulations that are required to be issued within the next two years, so it is possible that even more changes are coming in the near future. First, the new Law establishes the legal basis for the electronic filing of new trademark applications. However, this is not yet technically feasible, though it has been possible to electronically file trademark renewals for some time. Second, it appears that it is no longer required to submit the signed Power of Attorney and Statement of Entitlement forms at the same time as the application. However, despite this change, best practice will continue to be submitting them at the same time (to the greatest extent possible). Third, a major change is that the opposition period will now take place before substantive examination. Therefore, once all applications have completed the filing formality stage, they will proceed immediately to publication for a two-month opposition period. Previously, the opposition period was three months. While these changes were made ostensibly to increase the speed and efficiency of the examination process, it is also possible that they will increase the number of bad faith applications that are published for opposition and/or registered. Bad faith applications are an ongoing problem in Indonesia and previously, at least some of them were weeded out during the examination stage. Now, with publication taking place first, practically every application that is filed will be published. Thus, it is increasingly important to monitor the Trademark Gazette and to file oppositions where appropriate in order to have such argumentation considered by the Examiner during their review of that application. Fourth, the overall prosecution time from filing to grant has been reduced to 9 months from 14 months under the previous Law. However, this is strictly theoretical in nature as even under the old Law the registration process was taking at least 24 months, if not longer. Finally, all due dates are now counted from the date of the letter as sent by the Trademark Office, whereas before they were counted from the date the letter was received. While this will make the calculation of due dates more straightforward, it is likely that this change will reduce the amount of time afforded to prepare and file a response since there is often at least a few weeks gap between the date of the letters and the date that they are received. First, the new Law provides an expanded definition of what constitutes a “trademark” to include non-conventional marks. This means that 3-dimensional marks, sound marks and holograms are now accepted for filing and registration in Indonesia. Second, the new Law contains two additional bases for rejecting an application: If the mark at issue contains (i) misleading or (ii) deceptive elements. Additionally, the new Law states that an application can now be rejected based on an earlier-filed pending application. Third, generic trademarks can be registered but only if they are combined with some additional element that is sufficiently distinctive. First, a trademark cancellation action can now be based on a conflict with a prior geographical indication (GI) and/or traditional knowledge (TK) element. Second, the new Law confirms that there is no time limit within which cancellation actions based on bad faith (or violations of morality, religion, public order, etc.) must be filed. For all other bases, the action must be filed within five years from the mark’s registration date. Third, the new Law provides additional provisions on preliminary injunctions, though most of these simply mirror language found in other regulations. The goal behind including such provisions in the Trademark Law is to increase their use, since they are rarely used. However, it remains to be seen if this will occur given the requirement, among others, for the plaintiff to pay a bond to the Court equal to the value of the allegedly infringing goods, which would be forfeited if the petition is not successful. Fourth, the new Law doubles the criminal penalties for all types of infringing behavior. Fifth, appropriate civil servants (namely, the Investigative Unit of the IP Office (PPNS)) are granted increased powers to investigate trademark infringement cases, including the power to question witnesses, conduct searches and seize evidence, among others. The new Law does not grant them arrest power, however. Sixth, the new Law establishes protection for unregistered well-known marks by specifically stating that such marks can form the basis of a trademark infringement claim or can be used to cancel a registered mark. Finally, the new Law no longer contains the requirement that the use of a mark must match exactly how it was registered or be vulnerable to non-use cancellation. Therefore, under the new Law, small differences in color, front type, size and placement should not be considered significant enough to bring this use outside the scope of the registered mark. 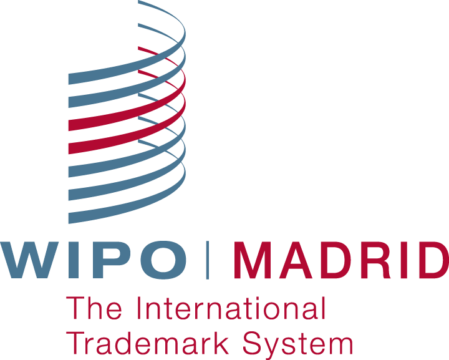 First, the new Law paves the way for Indonesia to join the Madrid Protocol and begin accepting and receiving international applications. However, this provision will only be implemented through the issuance of additional corresponding regulations. Second, trademark renewals can now be renewed either 6 months before or 6 months after the expiry date. Thus, there is now a grace period in which marks can be renewed after the deadline whereas before there was no such grace period. However, under related regulations, renewing marks during the 6-month grace period will be subject to much higher official fees. Third, recordals of assignment and name/address change can now be made on pending applications. Previously, it was only possible to record such changes once the marks had been registered. Additionally, all pending applications that were filed before the new Law comes into effect will be examined under the old Trademark Law (No. 14/2001), while all registered marks will governed by the new Law. Finally, all corresponding regulations are to be issued within two years. This is to avoid the situation under the old Law where numerous necessary corresponding regulations were either never issued or issued 10-15 years later, leaving gaps in the old Law. Established in 1986, Januar Jahja & Partners (JJP) is a leading boutique IP law firm based in Jakarta, Indonesia. Its expertise and professionalism in handling all aspects of Indonesian IP law have resulted in numerous rankings and accolades, including from the Legal 500, WTR 1000, IP Stars, Chambers & Partners, and Asialaw Profiles, etc. For more information, please visit www.jahja.com.